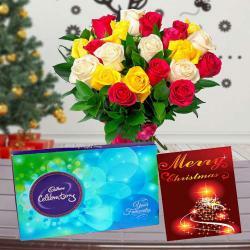 Product Consists : Bouquet of 12 Mix Flowers like Gerberas, Roses and Carnations in a cellephone wrapping along with Christmas Greeting Card. Cardare one simple and best medium for expressing your feelings towards anyone. Cardare quite popular gift items for any festival. 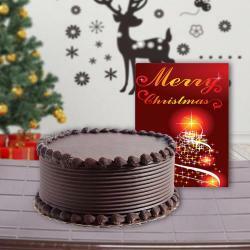 On this Christmas delight your dear ones with this special gift combo that contains one attractive Christmas greetings Card on which you can pen down your emotions. This gift combo also includes one bouquet made up with twelve flowers of three different breeds. It has four roses, four gerberas and four carnations. 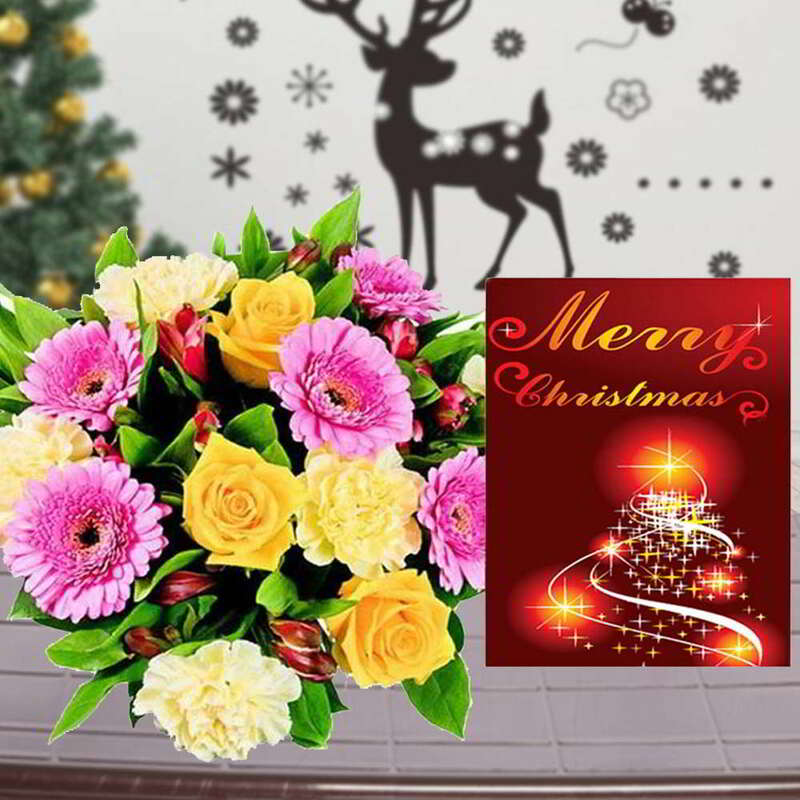 The flowers are arranged on bouquet so perfectly that it looks very beautiful and colorful. 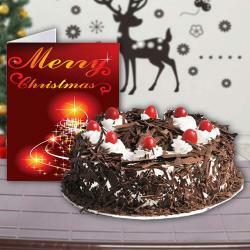 You can send this gift to anyone on this Christmas as the flowers bouquet is bound to enchant anyone with its lovely looks. 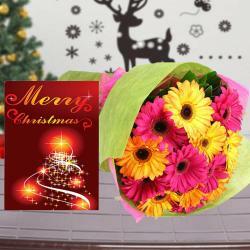 Product Consists : Bouquet of 12 Mix Flowers like Gerberas, Roses and Carnations in a cellephone wrapping along with Christmas Greeting Card.